When Jenny Telechan saw a need for a local business to assist elderly and disabled residents in navigating medical, insurance, legal and self-care systems, she said, "pick me!" Black Hills Advocate was born in 2015 - the heart and soul of someone who spent many years working with those in need. 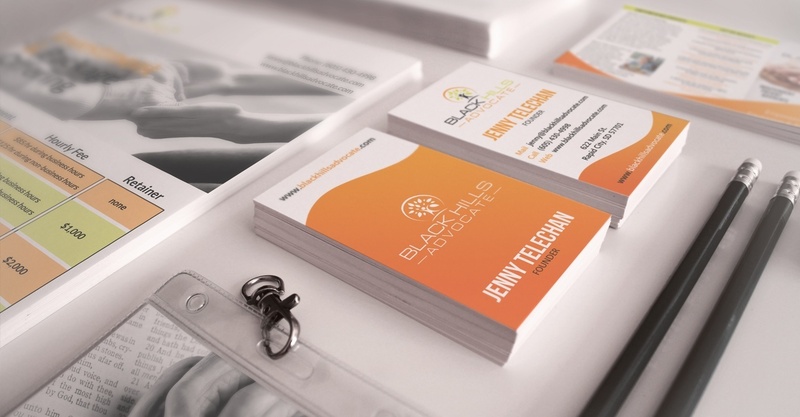 Jenny asked us to create a brand and website that would communicate her passion, services, and committment to care in the Black Hills Community. Within a very short time, we created materials that she could put in the hands of doctors, attorneys, dentists, caregivers and community members who needed advocacy for a variety of reasons. Jenny's website is a platform for her blogging, information, and outreach and allows for her impact to be even greater.